Recently Yoona and Taeyeon of Girls Generation have been under the attack of netizens for being rude during an interview with American press after the SMTOWN concert. The main complaints were that Yoona and Taeyeon looked bored and uninterested. Representatives of the Kpop industry and Korea in general said that they should have tried to look a little engaged. The general consensus among netizens was that they were unprofessional. I would have to agree with netizens on this one. I realize they are tired and they aren’t fluent in English, but they can try to look engaged. They are representing SM Entertainment, Korea, and their group. What they were doing can come off rude, even if that wasn’t the intent. At one point Taeyeon was leaning over with her head in her hands. It’s unprofessional, and one should act professional in a work setting regardless of whether you’re in the music industry or not. We all get tired but we check our issues at the door, realizing that we are there to do our jobs. Not looking engaged is rude and there is no excuse for rudeness. They also had supposedly contracted the flu while traveling, but even so, if SM Entertainment knew that the two had the flu, then they shouldn’t have let them participate in the interview. To me they just look bored like they don’t want to be there, not sick. The other girls seemed fine and had been doing just as much as those two, even if they aren’t they aren’t showing it, and that is what being professional is all about. However, the attention that this is getting speaks to a double standard that exists in Kpop between male and female idols. The flack that idols getting for lack of professionalism doesn’t seem to be evenly distributed. Women seem to get more heat for being rude then men. There seems to be less tolerance for female idols expressing there feelings in sometimes inappropriate ways or not respecting the work atmosphere. Men on the other hand, when they are rude or unprofessional it goes relatively unnoticed. Many excuses are made for rude male idols and it’s a bit annoying. 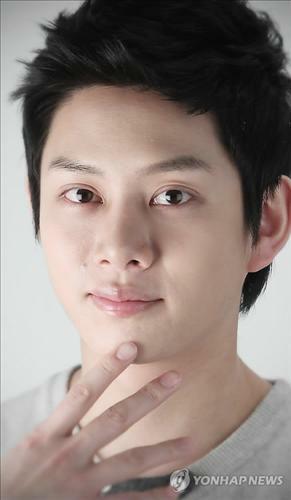 Let’s look at Heechul of Super Junior for example. He’s been rude and unprofessional a countless number of times. Yet, no one seems to care. He cracks less than tactful jokes, makes fun of other idols’ foreign language skills, but netizens say he isn’t rude, that he’s just special. It’s all in good fun. But lets just be real, Heechul has no filter and doesn’t know when to keep things to himself and reacts inappropriately to negative situations. But it’s not just Heechul, there have been times where TOP and GD of Big Bang have been extremely unprofessional and rude as well. During an interview in Taiwan, TOP was texting and GD looked uninterested and bored. Texting during an interview is incredibly rude and disrespectful. Regardless of any language barrier there might have been, rude is rude. They are working and shouldn’t have been doing such things, but again netizens let this go and make excuses for them. There have also been cases where male idols have been really rude to their fans, but that’s OK too. No one seems to have a major problem with their behavior. Seeing this is why I don’t understand why people zero in on female idol’s indiscretions. The only thing I can think of is there is a double standard. It’s hypocritical to call out Yoona and Yaeyeon for being rude, when there have cases of unprofessional behavior and rudeness among male idols. Either call them out equally or not at all. I think due to the fact that many Kpop fans are mainly female, the judgement of female idols tend to be harsher than that of male idols. At the end of the day though, regardless of male or female, there is not excuse for being rude and unprofessional. Blatant double standards add to the problem. What do you guys think? Is there a double standard?